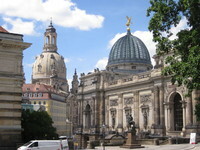 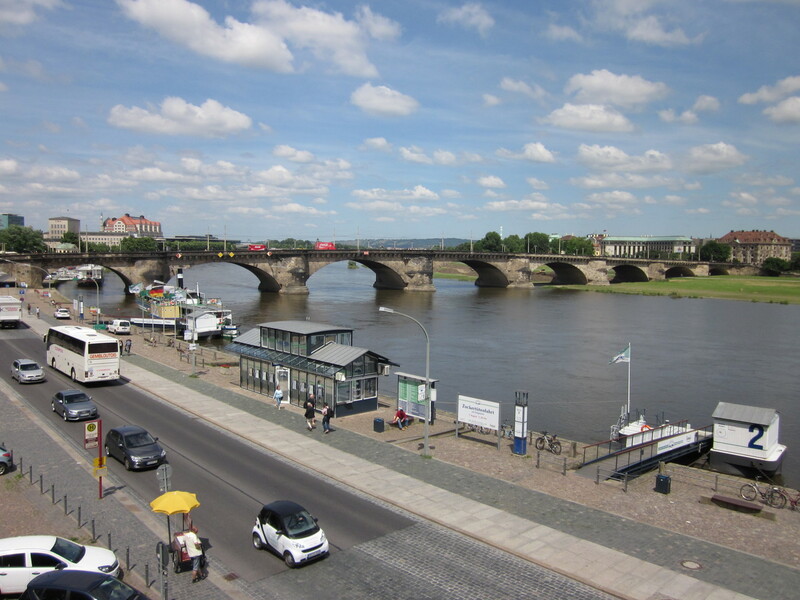 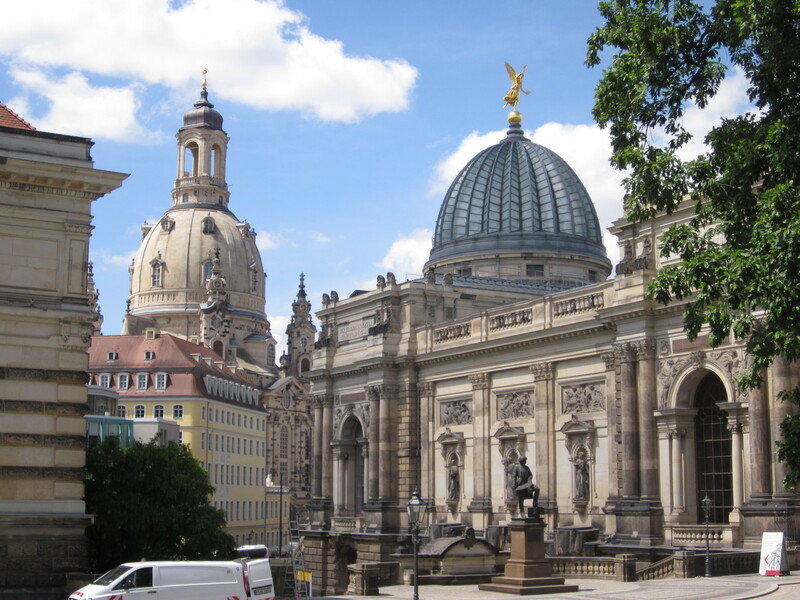 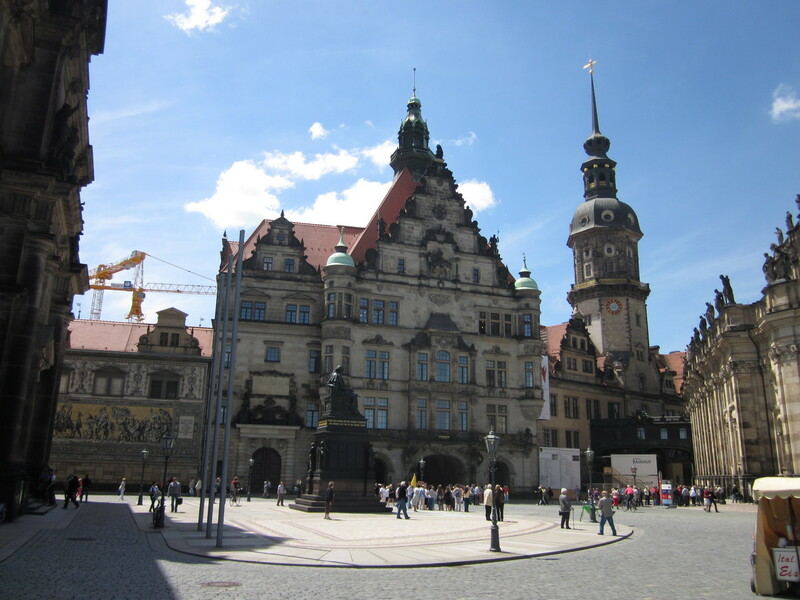 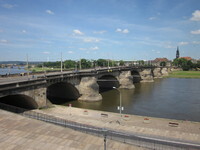 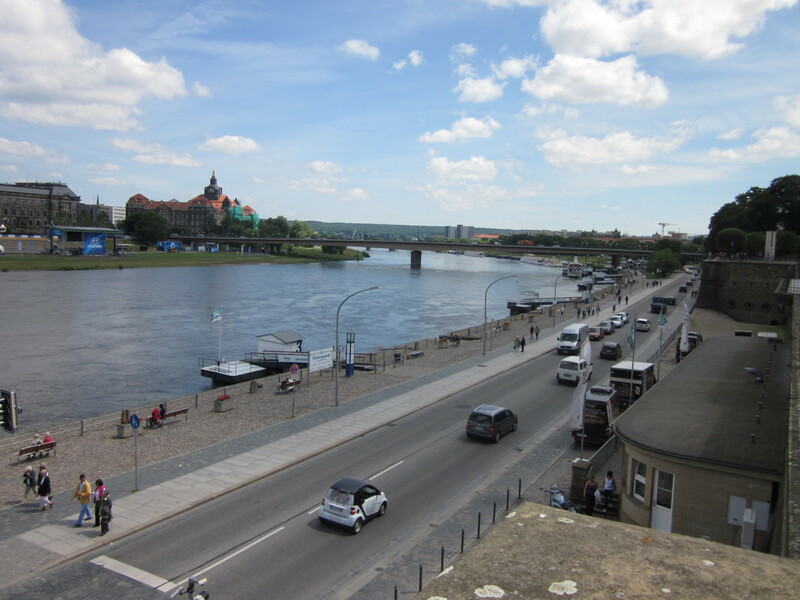 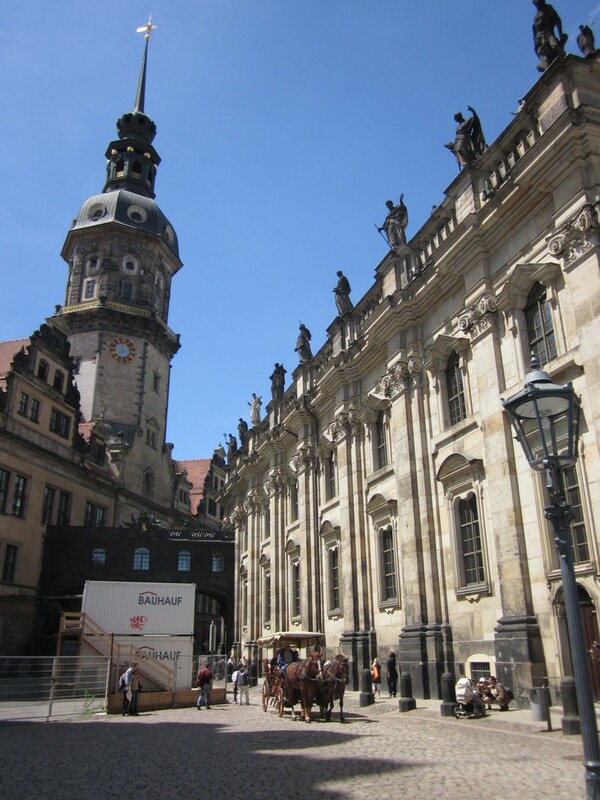 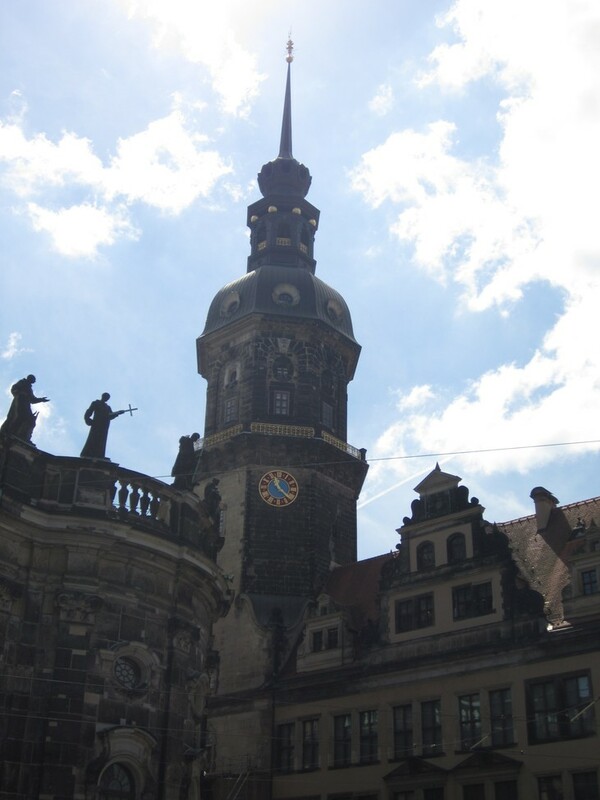 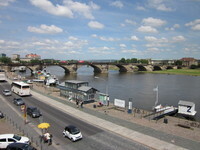 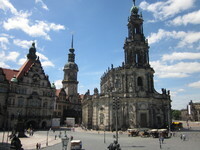 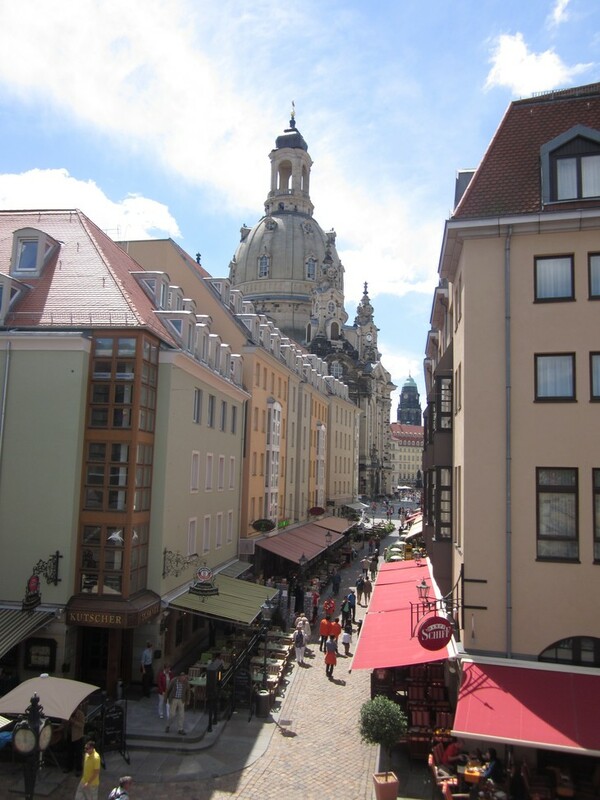 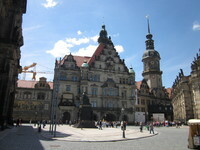 Dresden was a quick lunch stop on the way out of Berlin. 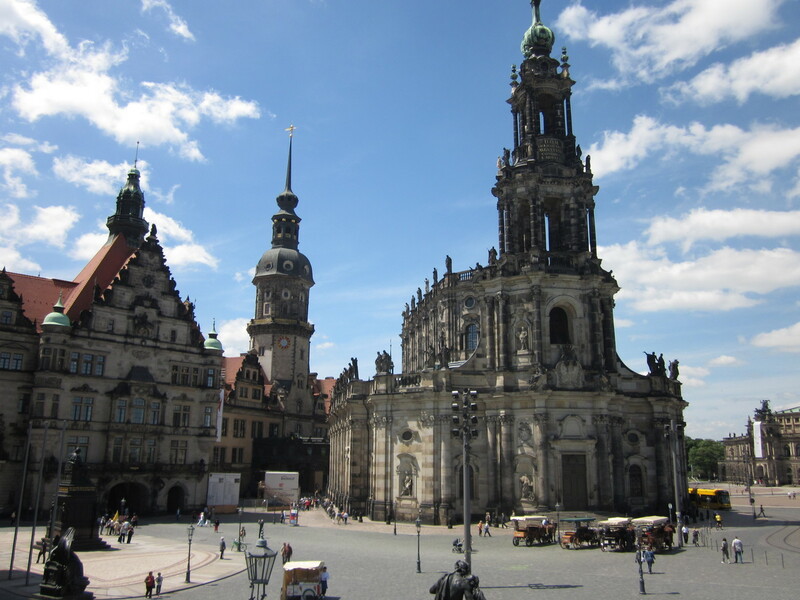 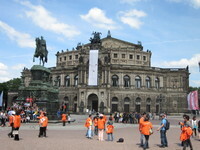 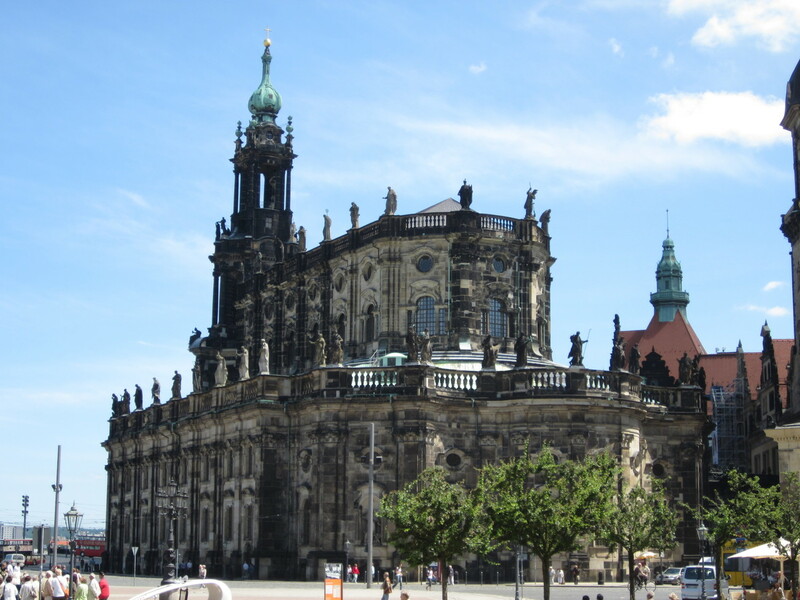 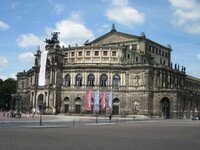 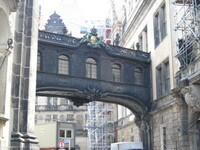 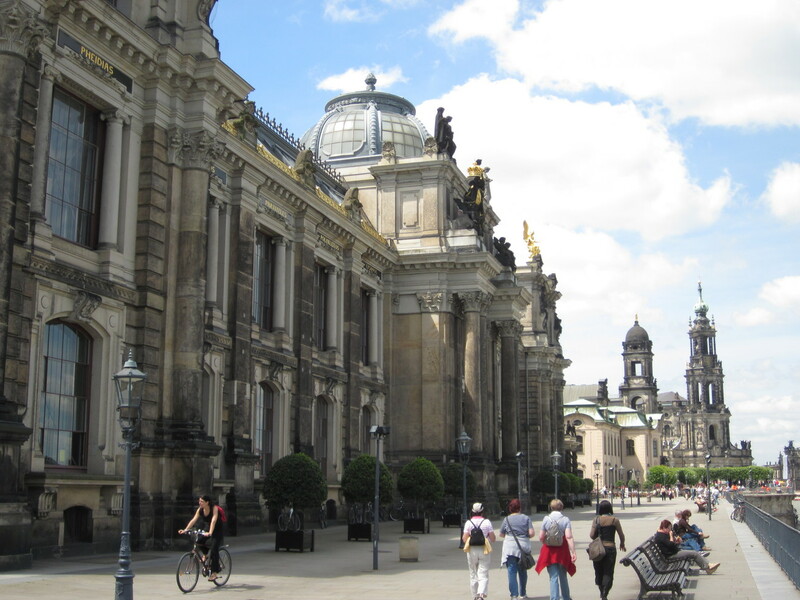 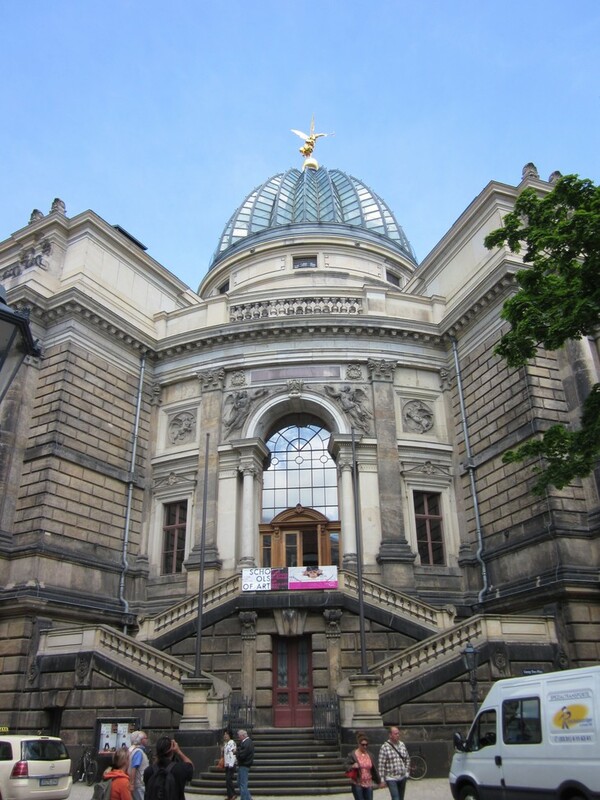 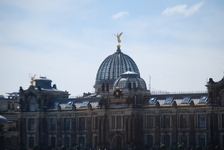 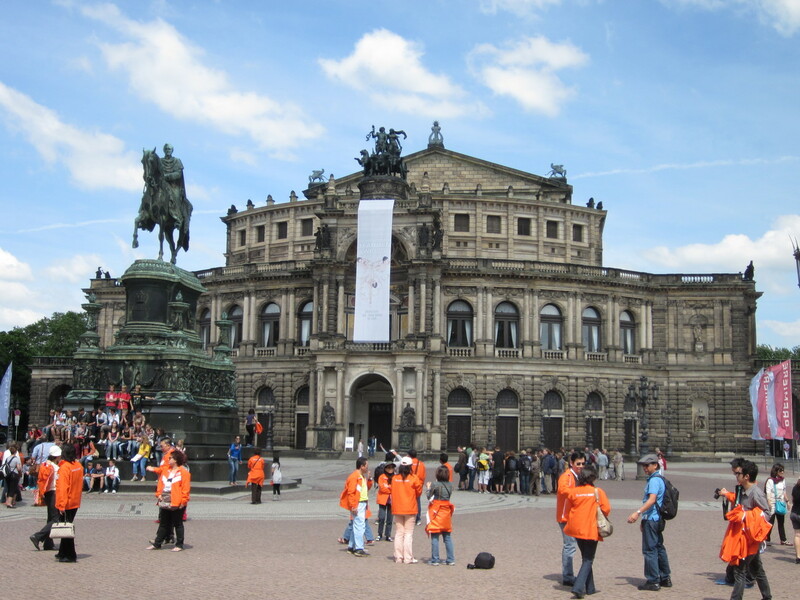 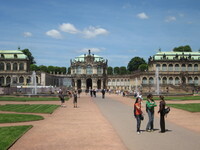 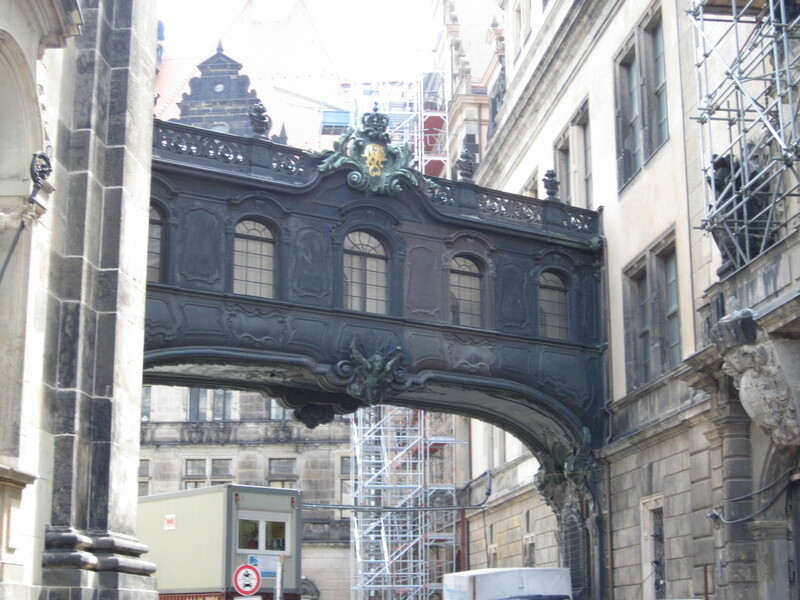 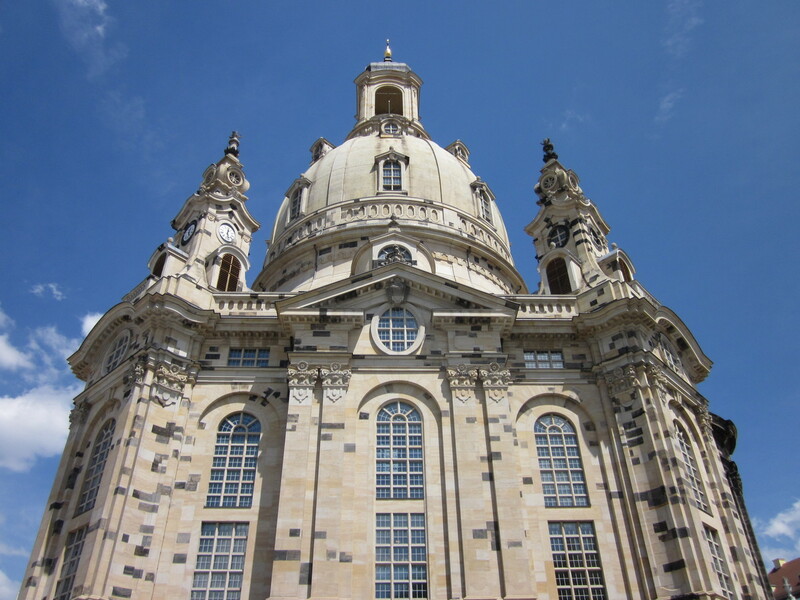 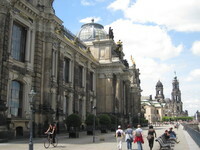 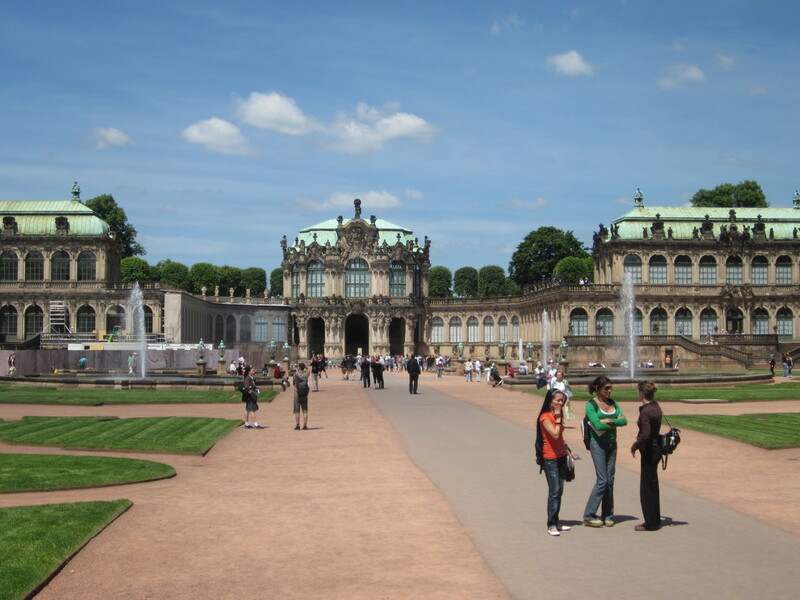 All I knew of Dresden was it had been firebombed towards the end of the war. 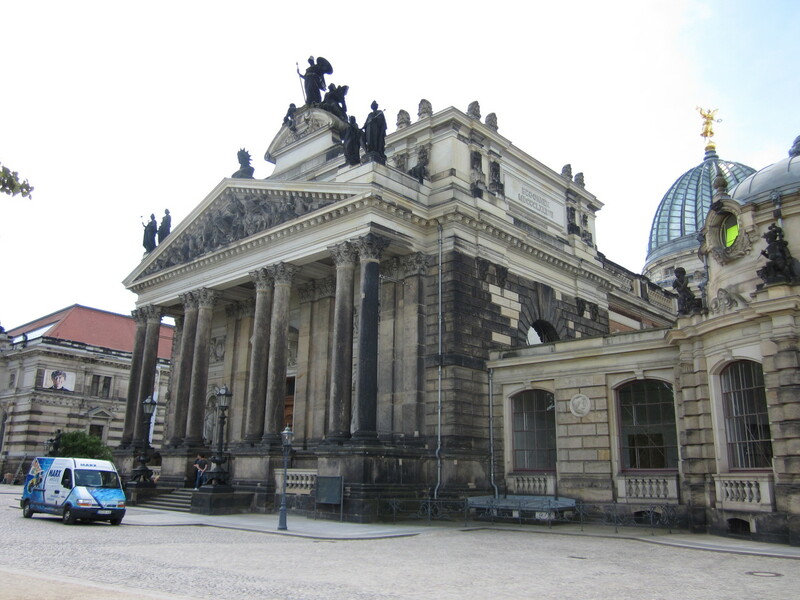 Firebombed so bad, they're still rebuilding parts of it. 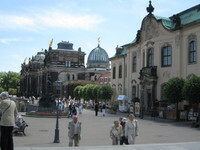 The main cathedral has only just been reopened. 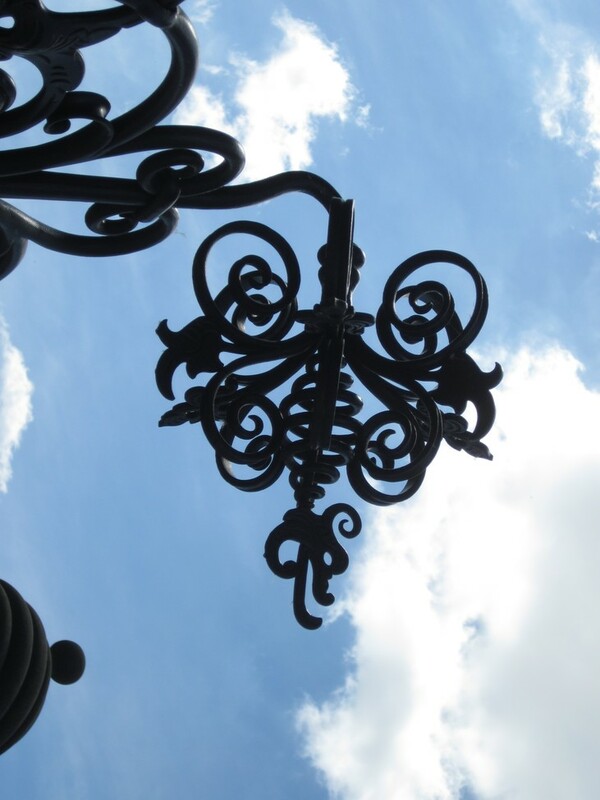 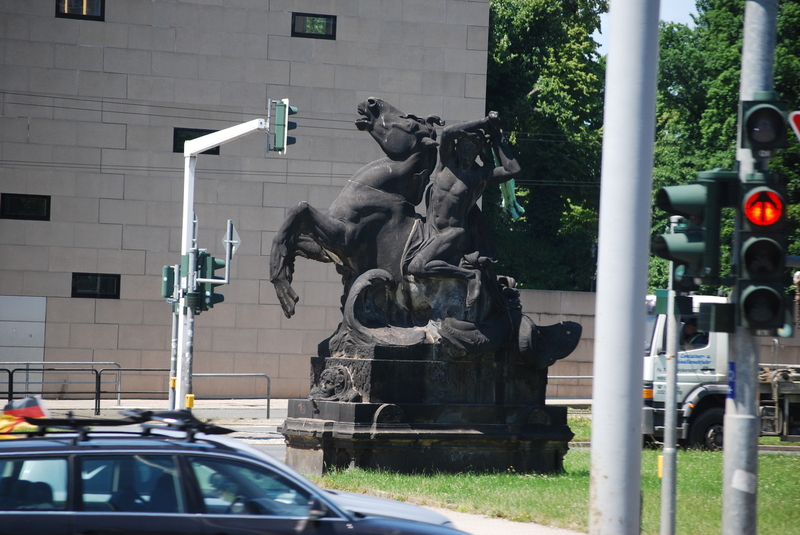 Everywhere you go you see black stone. 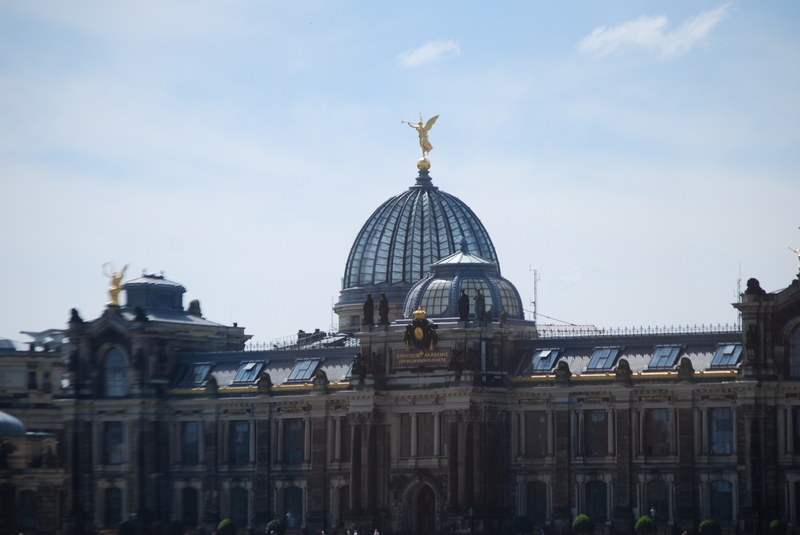 That's all fire damange. 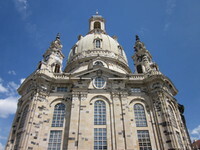 The Church of Our Lady in the centre of town is the clearest example. 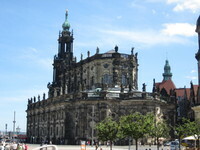 They rebuilt it and its a patchwork of old and new stone. Dresden also has the Furstenzug, the Procession of Princes which shows all the rulers of Dresden in cronological order as if they were riding in a parade. 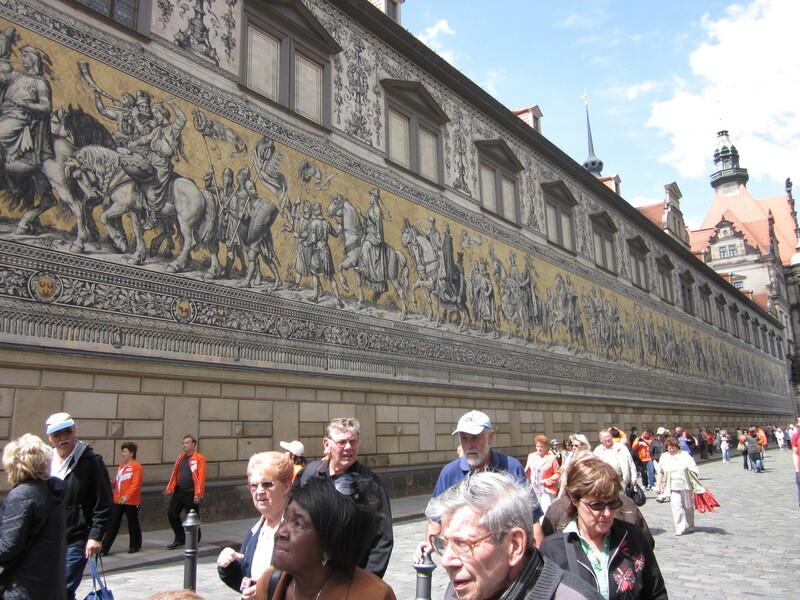 Its made out of ceramic tiles and so escaped most of the fires unscathed (8 tiles needed replacing) and it over 100m long. 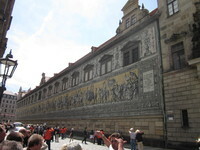 Its pretty impressive. 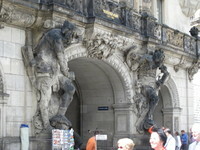 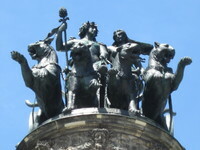 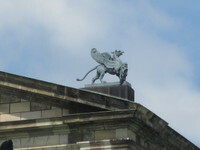 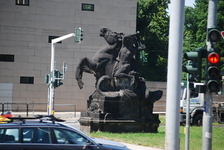 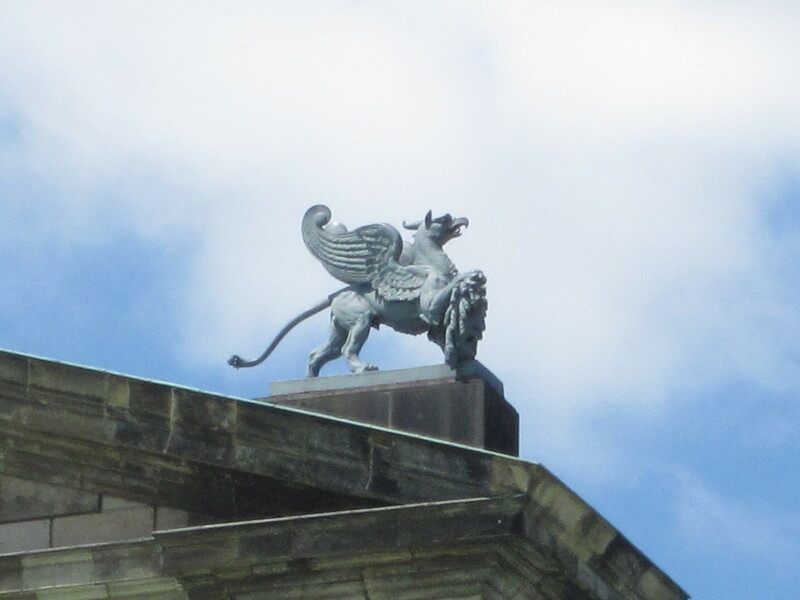 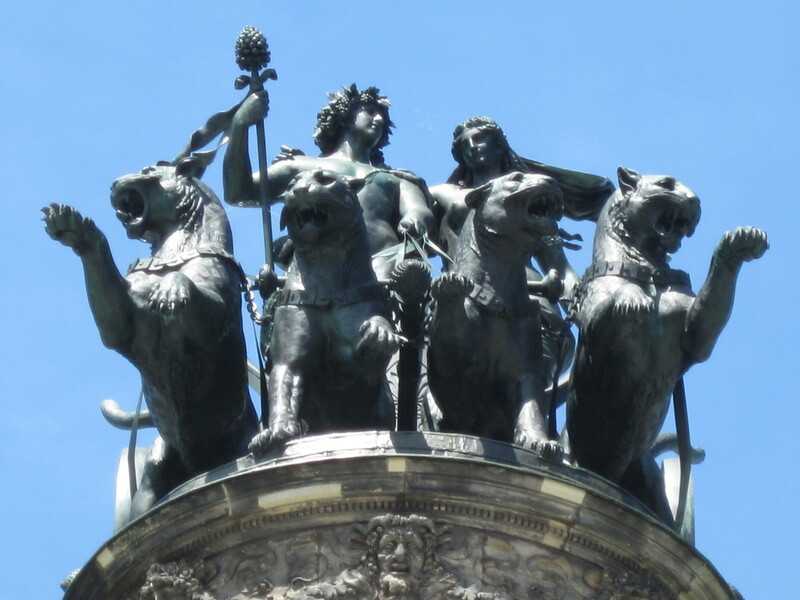 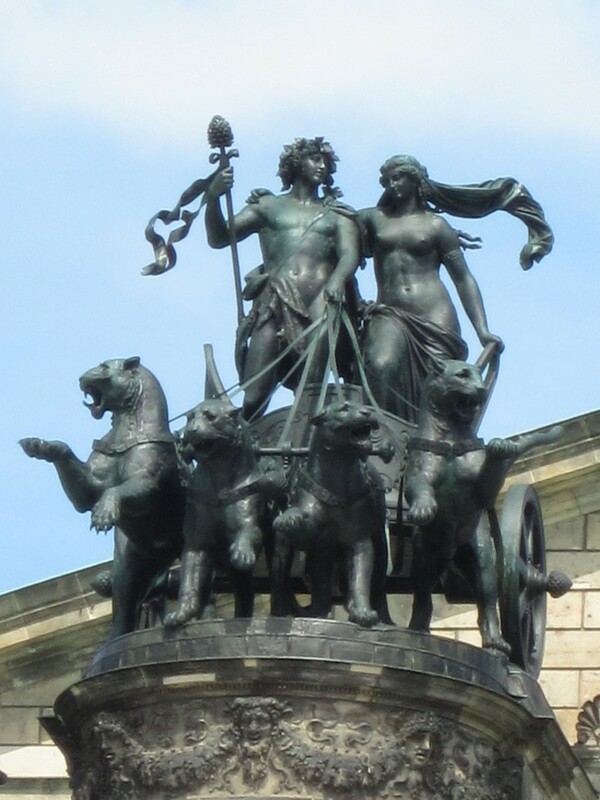 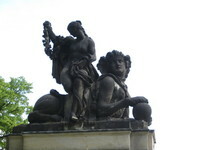 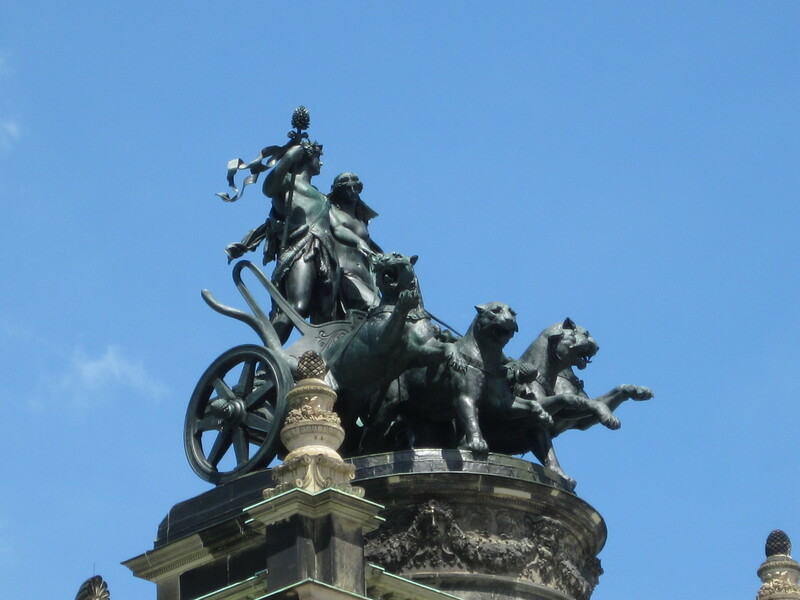 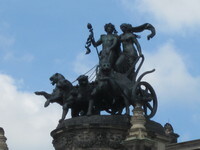 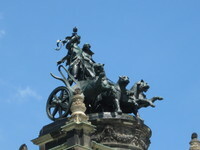 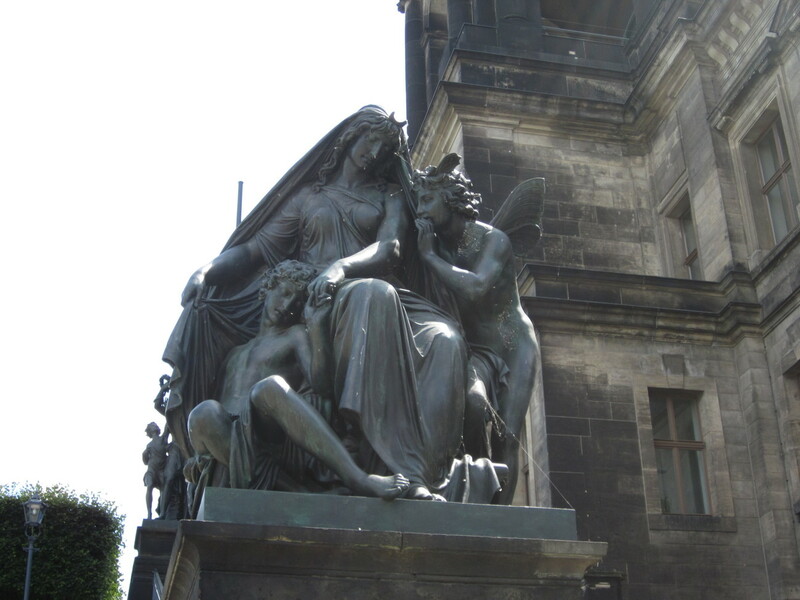 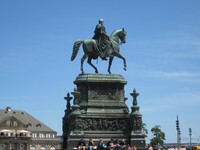 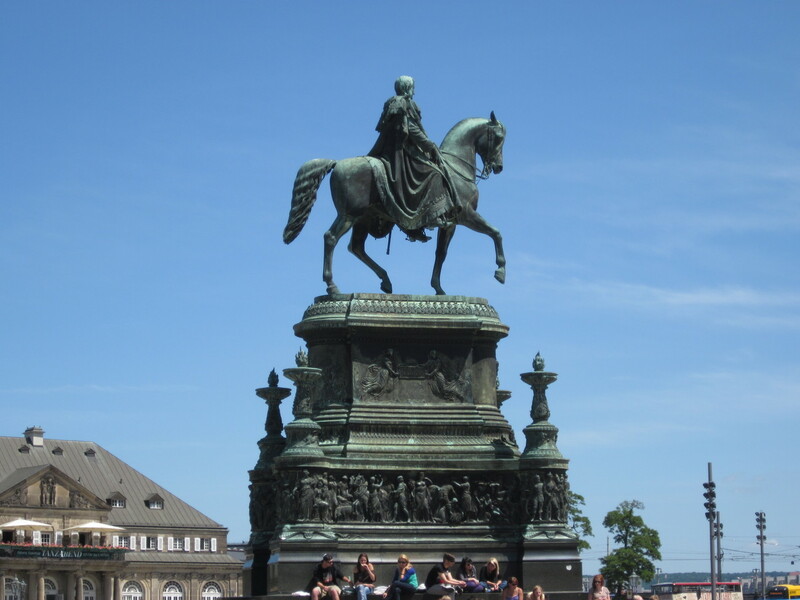 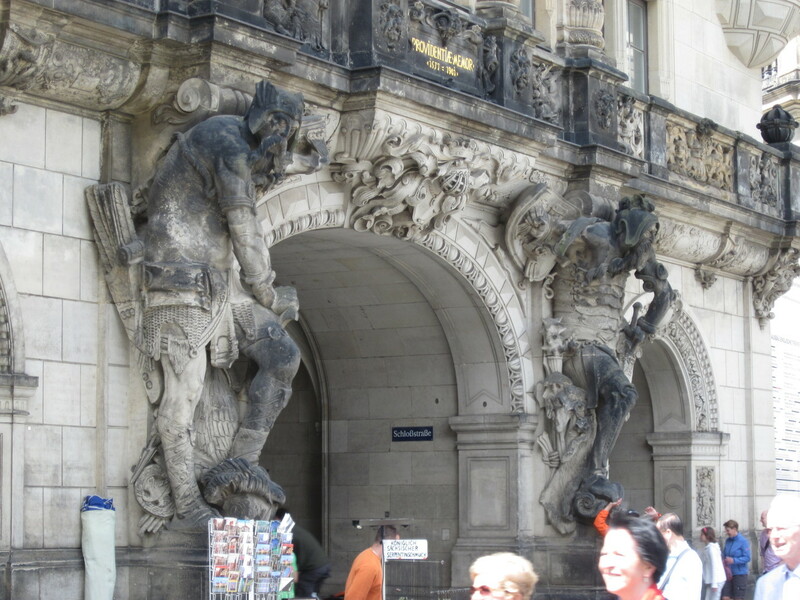 I did love all the statues Dresden had around it. 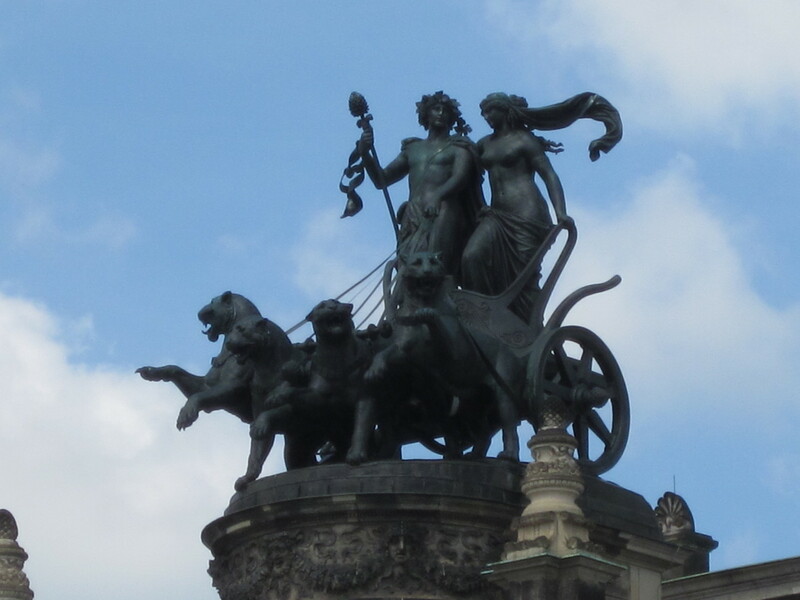 I do like statues. 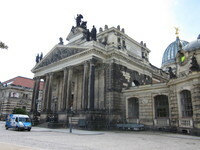 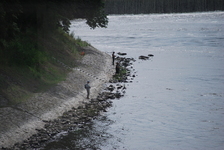 Last modified: May 27 2012 04:24:28.